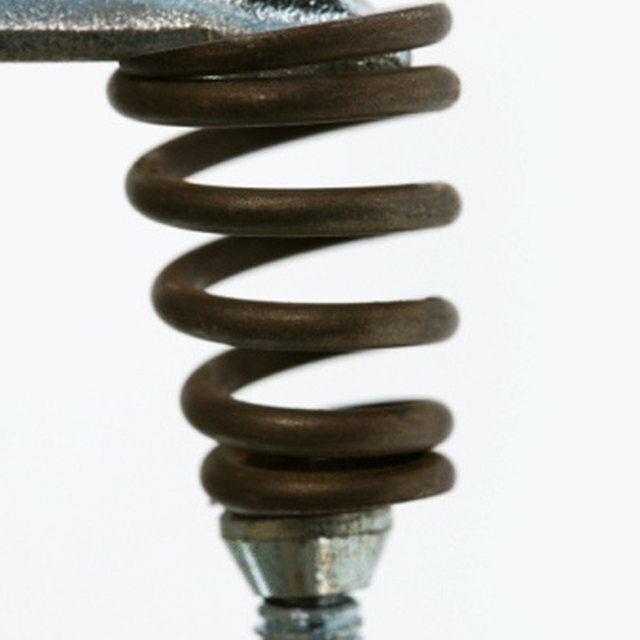 Finding out how much force an object can tolerate before breaking comes in handy in many situations, especially for engineers. This has to be determined based on experimental results, which essentially involve exposing the material to increasing amounts of force until it breaks or permanently bends. But performing the actual calculations to work out the flexural strength of a material can seem really challenging. Luckily, provided you have the right information to hand, you can tackle the calculation easily. Flexural strength (or the modulus of rupture) is the amount of force an object can take without breaking or permanently deforming. If this is difficult to get your head around, think about a plank of wood supported at two ends. If you want to know how strong the wood is, one way to test it would be to push down on the center of the plank harder and harder until it snapped. The maximum pushing force it could withstand before breaking is the flexural strength of the wood. If another piece of wood was stronger, it would support a bigger force before breaking. Flexural strength really tells you the maximum amount of stress the material can take (so you might see references to “flexural stress” too), and it’s quoted as a force (in newtons or pounds-force) per unit area (in meters squared or square inches). There are two methods of testing flexural strength, but they’re very similar. A long rectangular sample of the material is supported at its ends, so there is no support in the middle, but the ends are sturdy. A load or force is then applied to the middle section until the material breaks. For a three-point bending test, the continually increasing load is applied in the center of the sample until there is a break or permanent bend in the material. A flexural test machine can apply increasing amounts of force and precisely record the amount of force at the point of breaking. 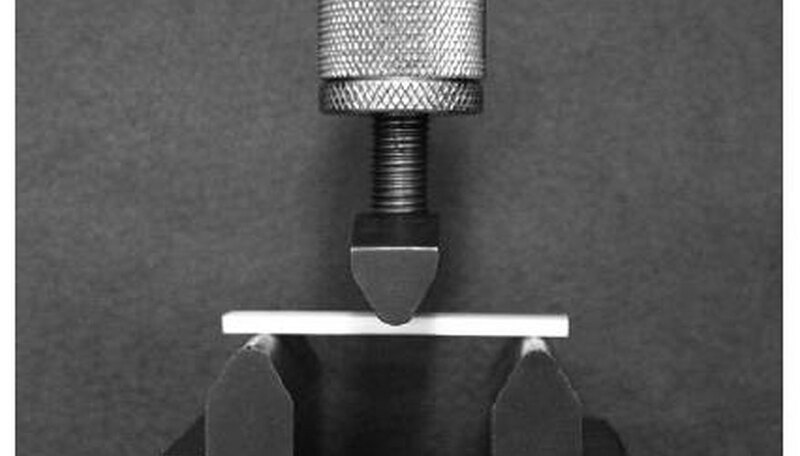 A four-point bending test is very similar, except the load is applied at two points simultaneously, again towards the center of the sample. It’s easiest to calculate the flexural strength when one load or force is applied one-third of the way between the supports and the second is applied two-thirds of the way between them. So in this example the middle third of the sample would have forces applied at either side of it. This might look scary at first, but once you know what each symbol means, it’s quite a simple equation to use. F means the maximum force applied, L is the length of the sample, w is the width of the sample and d is the depth of the sample. So to calculate the flexural strength (σ), multiply the force by the length of the sample, and then multiply this by three. Then multiply the depth of the sample by itself (i.e., square it), multiply the result by the width of the sample and then multiply this by two. Finally, divide the first result by the second. In SI units, lengths, widths and depths will be measured in meters, while force will be measured in newtons, with a result in pascals (Pa), or newtons per meter squared. In Imperial units, lengths, widths and depths will be measured in inches, and force will be measured in pounds-force, with a result in pounds per square inch. Note that this is exactly the same as the formula for three-point tests, but without the factor of 3/2. So simply multiply the force applied by the length, and then divide this by the width of the material multiplied by the depth of it squared. Science Struck: What Is Flexural Strength and Why Is It Important? Innovate Us: How Is Flexural Strength Calculated? Johnson, Lee. "How to Calculate Flexural Strength." Sciencing, https://sciencing.com/calculate-flexural-strength-5179141.html. 05 November 2018.